Cheesy baked pasta made with Italian chicken sausage, mozzarella, ricotta, Pecorino Romano and spinach (but don’t worry, no one will care about the green stuff). Perfect to feed a hungry family! This is also easy to make ahead, then pop it in the oven when you are ready to eat. 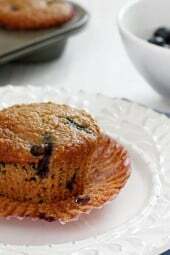 If you like to freeze meals ahead for the month, this freezes well after baking. To freeze, I like to cut it in portions when it’s cold, then wrap them in plastic and freeze individually. When frozen you can put them in large freezer bags and label them so you can take out as many or few pieces as you want at a time. If you don’t want to make such a large amount, you can easily halve this recipe and make in a square baking dish as I did in the photo above. Italian turkey or chicken sausage works great, use whichever is available near you. 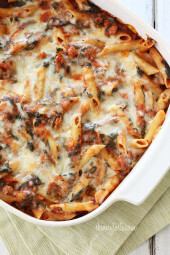 For a meatless version, try this Baked Ziti with Spinach recipe. Preheat the oven to 375°. Spray a 9- x13-inch baking dish with olive oil spray. 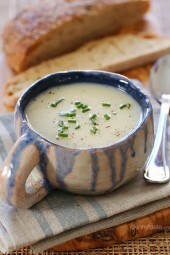 In a medium bowl, combine the ricotta, 6 tablespoons of the Pecorino Romano cheese and half of the mozzarella cheese. Meanwhile, in a large deep skillet, brown the sausage breaking up into small bits until cooked through; set aside. Add the oil to the skillet and sauté garlic about a minute, careful not to burn. Add spinach and season with a little salt and pepper and cook another minute. Return the sausage to the skillet and add the marinara sauce; cook on low about 2-3 minutes. When the pasta water comes to a boil, cook pasta according to instructions for al dente, but undercook them by 4 minutes less; drain and return to pot. Put half of the cooked pasta into the prepared baking dish and top with half of the meat sauce. Spoon the ricotta mixture on top of the sauce in an even layer. Cover with the remaining pasta and the remaining sauce. Top with the remaining mozzarella and Pecorino Romano cheese. Remove foil and bake for an additional 6-7 minutes or until the mozzarella is melted and the edges are lightly browned. This was very tasty! There are only two of us, so it did us for 4 substantial meals each. I used even amounts of pork hot and sweet italian sausage instead of chicken (the hubs can taste the difference! ), added some jarred roasted red pepper, and a jar of marinara sauce plus about half a tin of fire roasted tomatoes for sauce to save time. Yum! This was delicious. Even the kids liked it. Wonderful dish, easy to make. I added mushroom, onion, and red pepper flakes. I will definitely make this again. Thanks, Gina! This was delicious! I used precooked chicken sausage from Trader Joe’s so I just sliced it and tossed in pan. I also used fresh spinach. This one will be made often! Has anyone tried this with gluten free noodles/pasta? GINA!!!! You have rocked my world for the 6th time in 2 weeks. I made the baked pasta with sausage and spinach last night (along with your quick marinara sauce). Another tremendous Home Run!. I can not thank you enough for taking the time to “skinny” these meals, so both my husband and I can enjoy and not feel deprived. The dish has a little sweetness to it (I usually add a little sugar to cut the acidity in the sauce) but it was not necessary. Thank You, Thank You, Thank You. Looking forward to trying the Orange Chicken this week. My husband is a very happy man. No more run of the mill meals for us. Gina, this has to be one of my absolute favorites! I made it last week and was so disappointed because there were NO left overs for me for lunch. My family adored it, I had to count and figure out who ate the last piece because in my head I was saving it for the next day’s lunch. I made it again today and will be hiding a pieces for lunch tomorrow. So delicious!!!! I made this last night and it was wonderful! Easy to make too. Thank you for the wonderful recipes! Wow, Gina! I have done a few of your recipes recently and they were all so so so good! This one blew it out of the park though and the whole family was happy! I had a little trouble removing the casings of the sausage, but I think it's the brand I bought, because I've used sausage many times before. Truly delicious! Okay, so this is amazing! I ended up using kale instead of spinach (only because the 14 year old grabbed the wrong package out of the freezer) and the chicken sausage I bought could not be pulled out of the casing. SO, I just cut it up in pieces and voila! It was still good! I think next time I'll use more of the ricotta mixture. Thanks so much! Am I the only one that noticed the recipe calls for Rigatoni but the picture shows Ziti pasta? This just shows that these pasta dishes can be made with just about any pasta and still be good. HA! I noticed it first thing – but I still used rigatoni. I would imagine whatever you had on hand would work. I made this yesterday with about 12 oz of Italian turkey sausage since I couldn't find the chicken at the store. It was delicious!! I'm going to try and pick one recipe a week from your site to try! I already love the chicken thighs with lemon and feta! Thank you!!! This was a delicious dish that even my girls loved! Very easy to put together, too! Awesome, Gina. Whole family loved it! Should mention… I used about 3 oz. fresh spinach… chopped it roughly before adding it (right after sauteing garlic)… delicious! I too use fresh baby spinach, roughly chopped, but use a full 6 ounces and sauté it before add the garlic for saute. I also always us hot Italian chicken or turkey sausage. Have made it too many times to count and all who eat it love it! This looks and sounds delish! I. Will make it..Thanks for posting. Going to make this with chicken italian sausage to make it even healthier! thanks for the recipe! Delicious. I usually make meat sauce with ground beef, but using the sweet Italian sausage added great flavor. This will be in our regular dinner rotation from now on. Added mushrooms! So delicious! And I read the serving size wrong. I ate 1 cup not, 1 3/4 c so I saved points! EPIC! This sounds so good! I plan on adding mushrooms to the mix! I cant wait to make this! What would be the specifications for freezing and then reheating? I was going to bake, then freeze and thaw and then reheat later this week. How long and what temperature? Any suggestions? Thanks! I would also like to know how to freeze and reheat! Freeze in freezer safe containers, then thaw overnight in the refrigerator and heat covered with foil 350 about 20 to 30 minutes. It's in the oven now, and it looks and smells delicious. Where do you get your fat free ricotta? I can't seem to find that at my main grocery store, just part skim. I've just used that instead and adjusted the calories. I love this recipe though and so does my green-vegetable-fearing boyfriend. He doesn't even know the spinach is in there! Thank you for all your amazing and yummy recipes! Had this for dinner last night, so good! I told my 3 year old it was "pizza pasta" and he had seconds. Gotta love when you can sneek your kids a good dose of spinach! I've been on your site many many times but it some how fell off my radar. I've recently fallen in love with it all over again! I made this tonight and my husband gave it a 9.5 out of 10. He docked a half point b/c I used Ezekiel Pasta (sprouted whole grain), LOL. Anyway, I SO appreciate all you do. I hope this site never goes away. It's in the oven…smells delicious! Another hit at my house! I used some of my mozzarella for your stuffed chicken with spinach the other night, so I didn't have 8oz. I just used about 4oz of mozzarella and 4 oz of cheddar. I also used turkey sausage and fresh spinach. I printed this one out a while ago, but just tried if for the first time yesterday for a group of ladies. LOVED it! 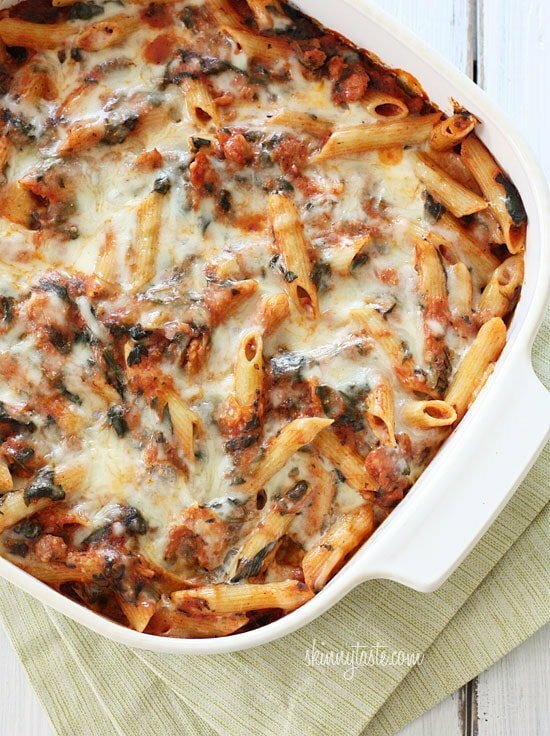 I usually don't like the layered style of baked ziti (I mix it all up), but this one was great. THANKS!!! I made this tonight, it was soooo good! My whole family loved it! I used fresh spinach and doubled it, I didn't have rigatoni on hand, but had orzo. I used parmesan chicken sausage, added a little onion powder, and garlic marinara. I will definitely make again. This was great. I halved it, and added Italian Seasoned 93/7 ground turkey. The portion sizes were SOO big I couldn't finish mine. It's a great freezer food, too! I used a mixture of colorful fresh swiss chard (blanched with garlic) & spinach, delish! Totally fabulous recipe! I used the Jennie O brand hot turkey sausage and it was delicious. 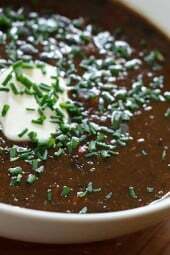 I never have a problem when I make your recipes, everything comes out exactly as it should and the portions, flavors and "filling" factor are always spot on. Made this the other night, added crushed red pepper for a bit of a kick and used chicken sausage from Whole Foods which had peppers in them. Husband and kids all enjoyed it and wanted the leftovers the next day for lunch. Delish!